LAUREN HILGERS lived in Shanghai, China for six years. Her articles have appeared in Harper's, Wired, Businessweek, The New Yorker, and The New York Times Magazine. She lives in New York with her husband and their daughter. 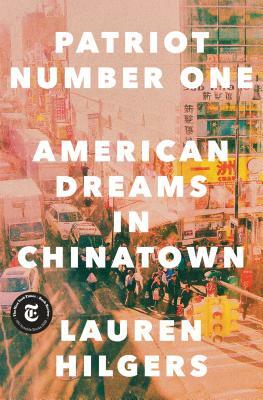 "A timely, informative book that offers a truthful account of the immigrant and exile experiences in the Chinese-American context. Hilgers captures the lives of her subjects with generosity, nuance, and psychological acuity." “Patriot Number One is an intricate and engaging dual portrait of the struggles of New York Chinese working class immigrants and the struggles of China’s village democracy. Its carefully rendered scenes offer a rare depth to worlds we know mostly from headlines." "Patriot Number One is a page-turning tale of the sub-world of exiled Chinese dissidents in American society. While Chinese immigration dates back generations, Lauren Hilgers has tapped into the more recent wave of Chinese political exiles and asylum seekers—and she astutely tracks their various struggles adjusting to life in America. A fascinating read."